Many famous inventors, scientists, authors, and artists were born in January, and many patents, trademarks, and copyrights for inventions, products, films, and books were issued during this month throughout history. If you were born during the beginning of the year, in the first month of the Gregorian calendar, be sure to check out which famous figures share your January birthday or what inventions made their public debut on this day in history. From the trademarking of Willy Wonka Candy to the release of Michael Jackson's "Thriller" song, many inventions and creations were patented, trademarked, and copyrighted in January throughout history. Find out which household items and famous inventions got their official start throughout the month. 1982 - Vladimir Zworykin, the Russian engineer who invented the cathode-ray tube, died. 1975 - The "U.S. Patent Office" was renamed "U.S. Patent and Trademark Office" to incorporate its new function as a trademarking office. 1967 - The patent for an apparatus for solar cooling and heating a house was given to Harry Thomason. 1972 - Willy Wonka's trademark was registered. 1965 - "Home of the Whopper" was trademark registered by Burger King. 1925 - Agronomist George Washington Carver was granted patent Number 1,522,176 for cosmetics. 1913 - Patent Number 1,049,667 was granted to William Burton for the manufacture of gasoline. 1783 - Connecticut became the first state to pass a copyright statute, entitled "Act for the Encouragement of Literature and Genius," which \was enacted with the help of Dr. Noah Webster. 1906 - Campbell's soup was trademark registered. 1893 - Thomas Laine patented the electric gas lighter. 1955 - Lloyd Conover patented the antibiotic tetracycline. 1895 - The Printing and Binding Act of 1895 prohibited the copyrighting of any Government publication. 1930 - Mickey Mouse cartoon first appeared in newspapers throughout the U.S.
1890 - George Cooke received a patent for a gas burner. 1861 - E.G. Otis was issued Patent Number 31,128 for "improvement in hoisting apparatus" (safety elevator). 1984 - Jim Henson's copyright claim on "Kermit, the Muppet" was renewed. 1882 - Leroy Firman received a patent for the telephone switchboard. 1957 - Lerner and Lowe's musical motion picture "My Fair Lady" was registered. 1915 - Doublemint Gum was trademark registered. 1857 - William Kelly patented the blast furnace for manufacturing steel. 1929 - The first outdoor feature-length talking motion picture was made, a film called "In Old Arizona." 1939 - Arlen and Harburg's song "Over the Rainbow" was copyrighted. 1954 - The first atomic submarine was launched, the USS Nautilus, which was christened by First Lady Mamie Eisenhower. 1895 - "Lifebuoy" soap was trademark registered. 1931 - VARA (a Dutch company) began experimental television broadcasts from Diamantbeurs, Amsterdam. 1849 - A patent was granted for an envelope-making machine. 1943 - "Casablanca" the movie was copyrighted. 1871 - Charles Goodyear, Jr. patented the Goodyear Welt, a machine for sewing boots and shoes. 1935 - The first canned beer, "Krueger Cream Ale," was sold by the Kruger Brewing Company of Richmond, VA.
1870 - Gustavus Dows patented a modern form of the soda fountain. 1881 - Michael Brassill obtained a patent for a candlestick. 1875 - The first electric dental drill was patented by George Green. 1909 - Milk-Bone Brand was trademark registered. 1880 - Patent Number 223,898 was granted to Thomas A. Edison for "an electric lamp for giving light by incandescence." 1807 - London's Pall Mall became the first street lit by gaslight. 1873 - Patent Number 135,245 was obtained by French chemist Louis Pasteur for a process of brewing beer and ale. 1895 - Charles Steinmetz patented a "system of distribution by alternating current" (A/C power). 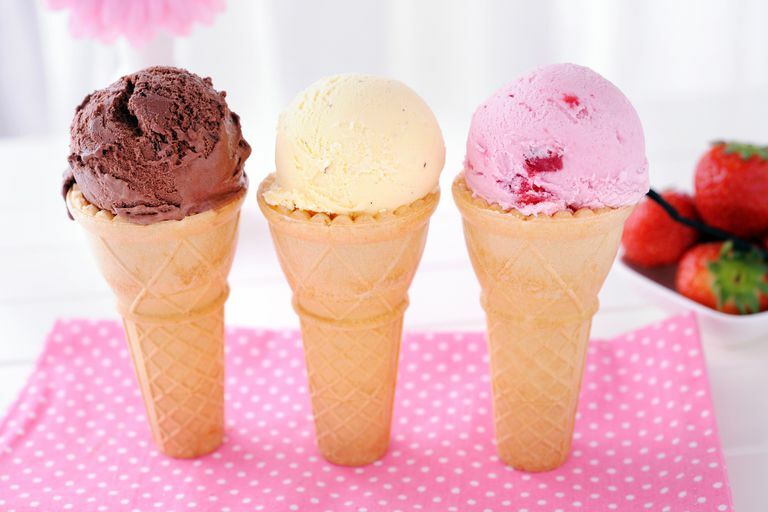 1924 - Carl Taylor of Cleveland patented a machine that made ice cream cones. 1883 - James Ritty and John Birch received a patent for the cash register. 1851 - Gail Borden announced his invention of evaporated milk. 1893 - Coca-Cola trademark for "nutrient or tonic beverages" registered. 1983 - Michael Jackson's "Thriller" ​was copyrighted. From Scottish scientist James G. Frazer to the inventor of the computer mouse Douglas Engelbart, many great scientists and creators were born in the month of January. Find out who shares your January birthday and how their lives' accomplishments changed the world. 1854 - James G. Frazer was a Scottish scientist. 1822 - Rudolph J. E. Clausius was a German physicist who researched thermodynamics. 1920 - Isaac Asimov was a scientist who wrote "I, Robot" and the "Foundation Trilogy." 1928 - Frank Ross Anderson was the International Chess Master of 1954. 1643 - Isaac Newton was a noted physicist, mathematician, and astronomer who invented a telescope and developed many theories. 1797 - Wilhelm Beer was a German astronomer who made the first Moon map. 1809 - Louis Braille invented a reading system for the blind. 1813 - Isaac Pitman was a British scientist who invented the stenographic shorthand. 1872 - Edmund Rumpler was an Austrian auto and airplane builder. 1940 - Brian Josephson was a British physicist who won the Nobel Prize in 1973. 1855 - King Camp Gillette invented the safety razor. 1859 - DeWitt B. Brace invented the spectrophotometer. 1874 - Joseph Erlanger invented shock therapy and won the Nobel Prize in 1944. 1900 - Dennis Gabor was a physicist who invented holography. 1745 - Jacques and James Montgolfier were twins who pioneered hot air ballooning. 1539 - Sebastian de Covarrubias Horozco was a famed Spanish lexicographer. 1891 - Walter Bothe was a German subatomic particle physicist who won the Nobel Prize in 1954. 1923 - Joseph Weizenbaum was an artificial intelligence pioneer. 1942 - Stephen Hawking is an English physicist first who revealed Black Holes and Baby Universes. 1870 - Joseph B. Strauss was the civil engineer who built the Golden Gate Bridge. 1890 - Karel Capek was a Czech writer who wrote the play "R U R" and invented the name "robot." 1864 - George Washington Carver was a famed African-American agricultural chemist who is credited with inventing peanut butter. 1877 - Frederick Gardner Cottrell invented the electrostatic precipitator. 1938 - Donald Knuth was an American computer scientist who wrote "The Art of Computer Programming." 1895 - Laurens Hammond was an American who invented the Hammond organ. 1906 - Albert Hofmann was a Swiss scientist who was the first to synthesize LSD. 1899 - Paul H. Muller was a Swiss chemist who invented DDT and won the Nobel Prize in 1948. 1903 - Igor V. Kurtshatov was the Russian nuclear physicist who built the first Russian nuclear bomb. 1907 - Sergei Korolev was the lead spaceship designer for Russia during the Space Race. 1935 - "Amazing" Kreskin was a noted mentalist and magician. 1950 - Marilyn R. Smith was a noted microbiologist. 1864 - Wilhelm K. W. Wien was a German physicist who won the Nobel Prize in 1911. 1927 - Sydney Brenner was a South African biologist and the 2002 Nobel Prize in Physiology or Medicine winner for his contributions to our understanding of the genetic code. 1907 - Derek Richter was a British chemist who wrote "Aspects of Learning and Memory." 1908 - Edward Teller co-invented the H-bomb and worked on the Manhattan Project. 1963 - Bruce Schneier is an American cryptographer who wrote many books on computer security and cryptography. 1853 - Andre Michelin was the French industrialist who invented Michelin tires. 1870 - Wilhelm Normann was a German chemist who researched the hardening of oils. 1932 - Dian Fossey was a noted zoologist who wrote "Gorillas in the Mist." 1857 - Eugene Augustin Lauste invented the first sound-on-film recording. 1928 - Vidal Sassoon was an English hair stylist who founded Vidal Sasson. 1949 - Anita Borg is an American computer scientist who founded the Institute for Women and Technology and the Grace Hopper Celebration of Women in Computing. 1813 - Joseph Glidden invented useable barbed wire. 1854 - Thomas Watson assisted in the invention of the telephone. 1856 - Daniel Hale Williams was the surgeon who performed the first open-heart operation. 1933 - Ray Dolby invented the Dolby noise limiting system. 1736 - James Watt was a Scottish engineer who invented a steam engine. 1813 - Henry Bessemer invented the Bessemer engine. 1916 - Walter Bartley was a famed biochemist. 1743 - John Fitch invented a steamboat. 1815 - Horace Wells was a dentist who pioneered the use of medical anesthesia. 1908 - Bengt Stromgren was a Swedish astrophysicist who studied gas clouds. 1912 - Konrad Bloch was the German biochemist who researched cholesterol and won the Nobel Prize in 1964. 1921 - Barney Clark was the first person to receive a permanent artificial heart. 1909 - Lev D. Landau was the Russian physicist who won the Nobel Prize in 1962. 1925 - Leslie Silver was a noted English paint manufacturer. 1929 - John Polanyi was the Canadian chemist who won the Nobel Prize in 1986. 1880 - Elisabeth Achelis invented the World Calendar. 1888 - Ernst Heinrich Heinkel was the German inventor who built the first rocket-powered aircraft. 1928 - Desmond Morris was an English zoologist who researched body language. 1947 - Michio Kaku is an American scientist who wrote "Physics of the Impossible," "Physics of the Future," and "The Future of the Mind" and hosted a number of science-based television programs. 1627 - Robert Boyle is the Irish physicist who wrote "Boyle's Law of Ideal Gases." 1900 - Theodosius Dobzhansky was a noted geneticist and the author of "Mankind Evolving." 1907 - Hans Selye was an Austrian endocrinologist who demonstrated the existence of biological stress. 1911 - Polykarp Kusch was an American nuclear physicist who won the Nobel Prize in 1955. 1834 - Dmitri Mendeleev was the chemist who invented the periodic table of the elements. 1903 - John Eccles was a British physiologist and neurologist who won the 1963 Nobel Prize in Physiology or Medicine for his work on the synapse. 1706 - John Baskerville was the English printer who invented typeface. 1855 - William Seward Burroughs invented the adding machine. 1903 - Dame Kathleen Lonsdale was a noted crystallographer and the first woman member of the Royal Society. 1922 - Robert W. Holley was an American biochemist who researched RNA and won the Nobel Prize in 1968. 1810 - Ernst E. Kummer was a German mathematician who trained German army officers in ballistics. 1850 - Lawrence Hargrave invented the box kite. 1901 - Allen B. DuMont invented an improved cathode ray tube. 1926 - Abdus Salam was a noted theoretical physicist. 1899 - Max Theiler was the English microbiologist who won the Nobel Prize in 1951. 1911 - Alexander George Ogston was a biochemist who specialized in the thermodynamics of biological systems. 1925 - Douglas Engelbart invented the computer mouse. 1949 - Peter Agre is a noted American scientist and the director of the John Hopkins Malaria Research Institute. 1868 - Theodore William Richards was a chemist who researched atomic weights and won the Nobel Prize in 1914. 1929 - Rudolf Mossbauer was the Germany physicist who won the Nobel Prize in 1961.